this essay, addressing the naysayers about the rapidly growing Personhood Movement. Launched in Colorado with Kristi Burton's Amendment 48 citizen's initiative to legally protect the baby in the womb, from the beginning of that child's biological development, now over 40 states are pursuing similar efforts to end legalized child killing. 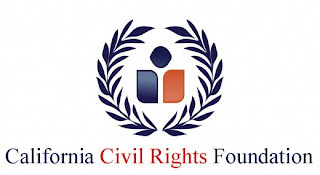 Co-sponsor of the California Personhood initiative along with the indomitable Lila Rose of Live Action, he has also founded the California Civil Rights Foundation. 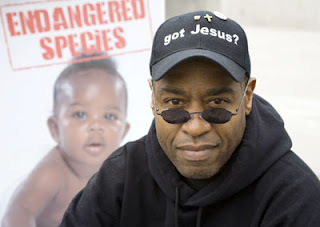 Expect to see more of this cultural warrior, who recently served some time in prison for witnessing to women about to end the lives of their growing, developing, pre-born babies. His powerful witness for black americans will deservedly rock our nation!